Welcome to an extra 60 hours exercise a year in just 10 minutes a day! Never enough time for exercise? Try alternating these exercises every day. Choose from 10 Minute Yoga, Muscle-Toning, Cardio and Meditation to really boost your mind and body wellbeing. 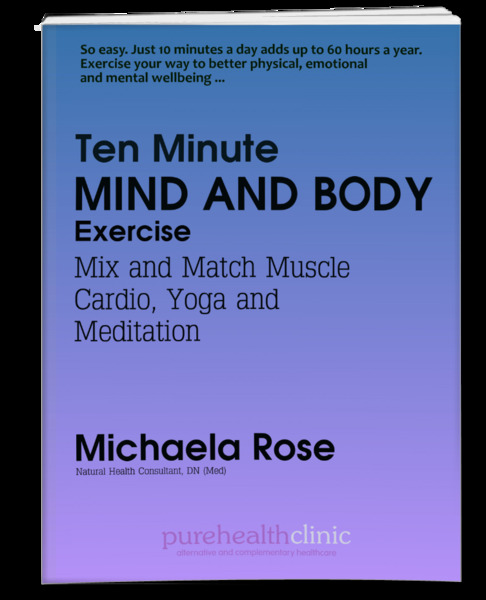 Choosing just ten minutes exercise every day means more than sixty extra hours of mental, emotional and physical exercises every year. That’s sixty hours more than you’re doing now! Combine these with more daily walking where you might have taken the car, and you’re well on the way to a super-healthy and fit body. Exercise benefits your mood, blood pressure, blood sugar and lowers your risk of disease – and that’s on top of making you look and feel a lot younger and more gorgeous! What’s not to like? So, let’s get to it; your body will be smiling inside!